TIGARD — The Longhorns wanted to finish what they started. Not only did they want to get off to their usual fast start, but they wanted to keep up the intensity until the final pitch was thrown. 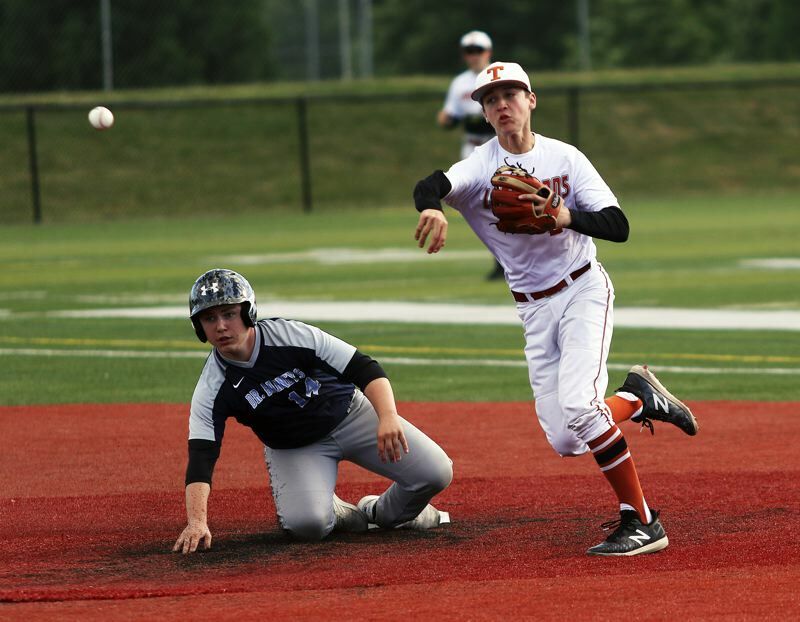 Tigard started fast, and finished strong, on its way to getting a 14-2 win over Dr. Barney's from Southridge High School in an Oregon Independent Baseball Association Murphy Division game played Monday at Tigard High School. "I feel like we've lost a couple of games that we shouldn't have lost," Sam Gerkman, a Tigard High School senior-to-be, said after the game. "A tendency we have is to come out and get an early lead and play really well, then, after the first couple of innings, we let up. But today we did a good job of not taking our foot off the gas pedal." "In some of our other games, we score a lot in the first inning, and then just give up," Longhorns shortstop Ethan Clark said. "Today, we kept at it every inning." With the victory, Tigard upped its summer-season record to 13-5-1 at that point. "I think we're looking to bond between the younger guys and older guys," said Gerkman, who was the winning pitcher in Monday's game. "We're trying to build a chemistry. We're trying to get used to each other, and I think it's going well." "It's going pretty good," said Clark, who also is a Tigard senior-to-be. "It's a lot of new opportunities for our younger players. It's good to get them experience, get them used to the varsity." The Longhorns, in Monday's game, took a quick lead, and they got it in spectacular fashion. Josh Schleichardt, leading off the bottom of the first inning, hit an inside-the-park home run, with the ball rolling to the fence in deep left-center field, giving the Longhorns a quick 1-0 advantage. Southridge tied the game in the top of the second, getting an RBI single by Ryan Eves, but Tigard quickly took over again. The Longhorns, getting an RBI double by Lucas Underwood and a bases-loaded triple by Cameron Laroche, scored five runs in the bottom of the second to take a 6-1 lead. 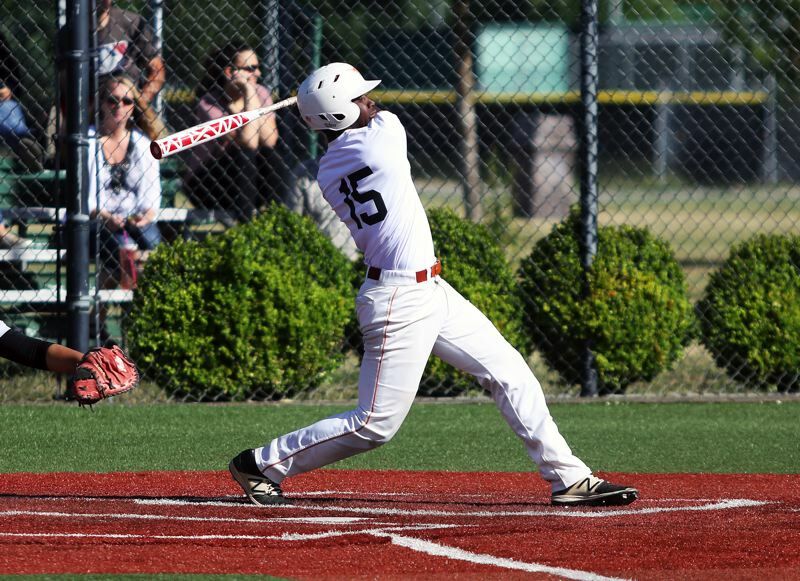 Tigard scored three more runs in the bottom of the third inning, with the big hit of the frame being a two-run single by Bryce Goetz, to up the margin to 9-1. Dr. Barney's got an unearned run in the top of the fourth inning, making the score 9-2. But the Southridge team wouldn't get any closer. Tigard, with Underwood scoring from third on a wild pitch, got a run in the bottom of the fifth to make the score 10-2. The Longhorns, getting an RBI single by Mikey McNamee and a run on a sacrifice fly by Underwood, upped the margin to 12-2 in the bottom of the sixth inning. Later in the frame, Gerkman capped off the scoring with a two-run single. "I had the 3-0 on me, but I gave myself the green light," Gerkman said with a laugh. "I'm tired of getting walked. In the past three games, I'm pretty sure that I'm 2-for-5 with six walks. So, I wanted to let loose." On the mound, in six innings of work, Gerkman gave up two unearned runs on seven hits, while striking out four and walking two. Jack Hallam pitched a perfect seventh inning. Underwood helped lead Tigard's 15-hit offensive attack, going 3 for 3 at the plate with a double, a sacrifice fly, three runs scored and two RBIs. Clark and Ben Barbee each went 2 for 3 with a run scored. Goetz went 2 for 3 with two RBIs. McNamee went 2 for 4 with a run scored and an RBI. Schleichardt scored a pair of runs. Laroche drove in three runs. Gerkman had two RBIs and two runs scored. Kolby Shimojima had a hit and two runs scored. For Southridge, Eves and Josh Calo each went 2 for 3 at the plate, with Calo scoring both of the team's runs. 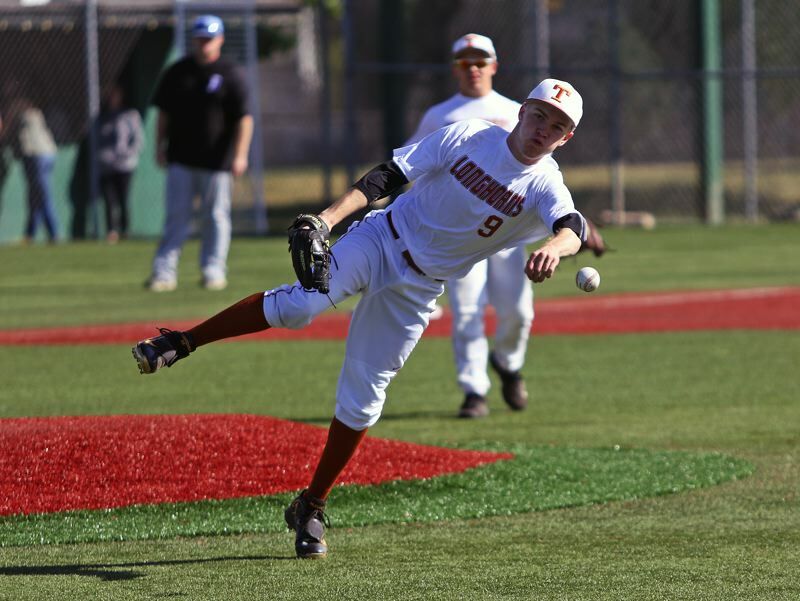 The Longhorns' next scheduled contests will be on Sunday, when they host Molalla in a doubleheader starting at noon.